Born and raised in Argentina, Gustavo Cadile is of Italian descent. His great-grandfather, Enrico Dell’Acqua, was an influential Italian textile industrialist in Italy and Argentina. 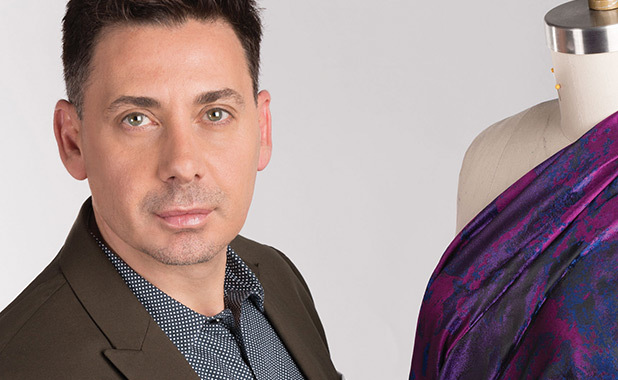 Enamored by his grandfather’s knowledge of and eye for fabric and his mother’s eccentric European sensibility, Gustavo dreamed of becoming a designer. He attended the International Fine Arts College in Miami and graduated with a fashion design degree. To pursue his design dream, Gustavo traveled to Italy, consulting for designers in Milan and Rome. But as a young designer, the excitement of New York City beckoned him. Gustavo worked for Perry Ellis, the epitome of classic American sportswear, as well as with Oleg Cassini’s bridal collection. In 2007, Gustavo launched his namesake label, which has been quietly growing ever since. In 2015, he introduced his bridal line to much success. Gustavo interweaves Italian artistry with Argentinian imagery to create uniquely beautiful gowns and cocktail dresses. His creations are made with the finest fabrics and are all manufactured in New York City. Gustavo has been recognized for his craftsmanship and quality, earning him the New Emerging Designer Award in 2007 at the Gold Coast Awards in Chicago. He was nominated in 2008 and 2009 for the Fashion Group International’s Rising Star Award and in 2013 was awarded the Fashion Group International Award in Miami.